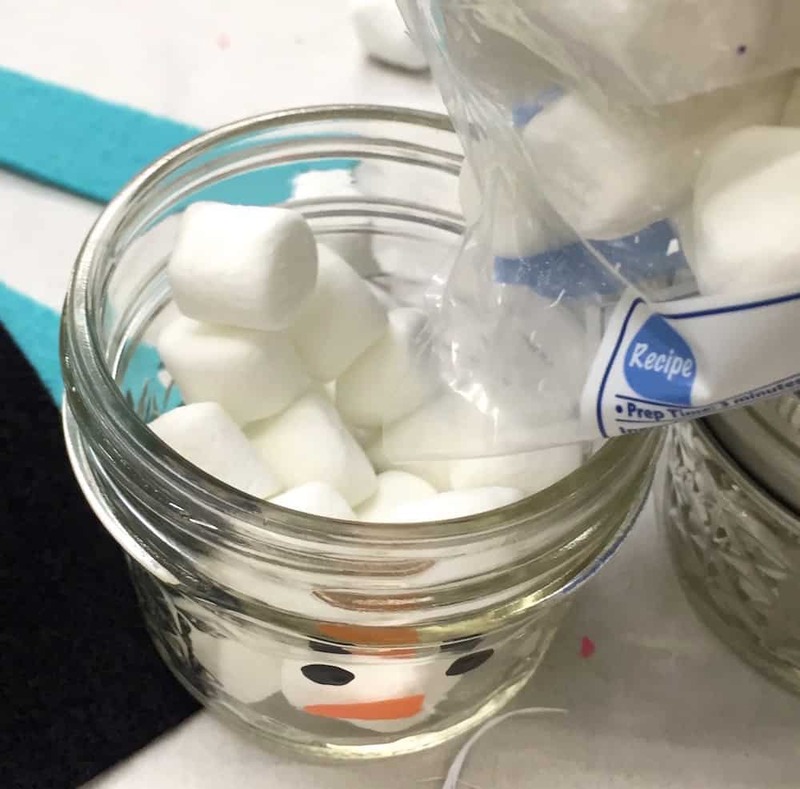 These cute snowmen mason jar gifts are so easy to make! Add hot cocoa, mints, and marshmallows to make them a lovely gift idea. 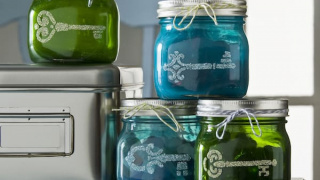 Who wouldn't love mason jar gifts, especially when filled with some delicious hot cocoa, marshmallows, and mints? 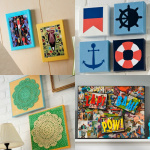 I imagine these would be a favorite with teachers, neighbors, dog walkers, secret Santa recipients . . . or anyone, really! 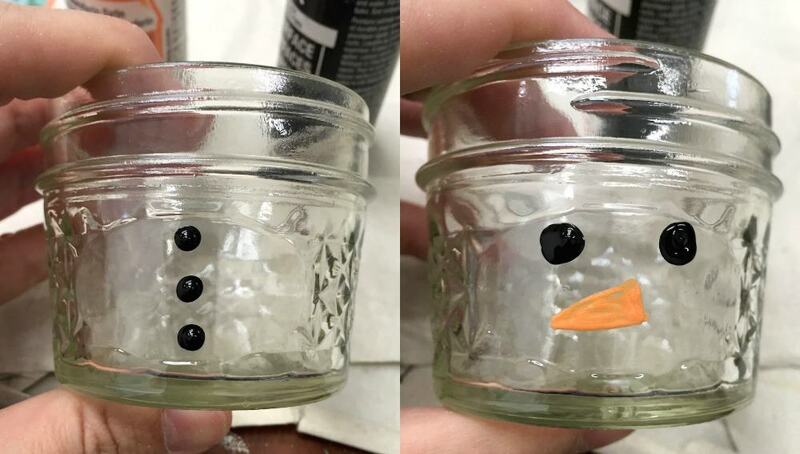 With some basic supplies from Michaels, I made these silly snowmen with ease. I can't wait to hand them out and see the smiles they are sure to inspire. Here's how I made them. 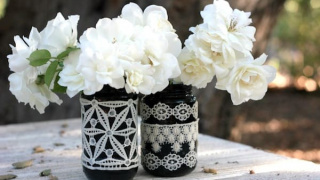 I'm absolutely in love with these quilted mason jars! This 4 oz. 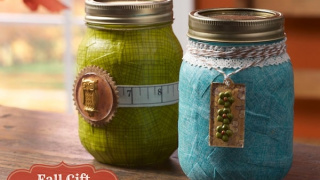 size is the base of your project (and can I say, it comes in handy for so many different mason jar gifts). 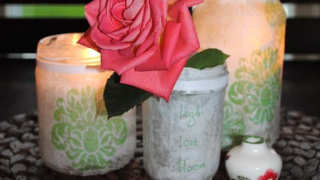 The painting part is quite simple and uses two of the jars. I used a liner brush to add the nose with orange acrylic paint. And the dots for the eyes and the buttons? I just used the bottom of the liner brush dipped in black paint! 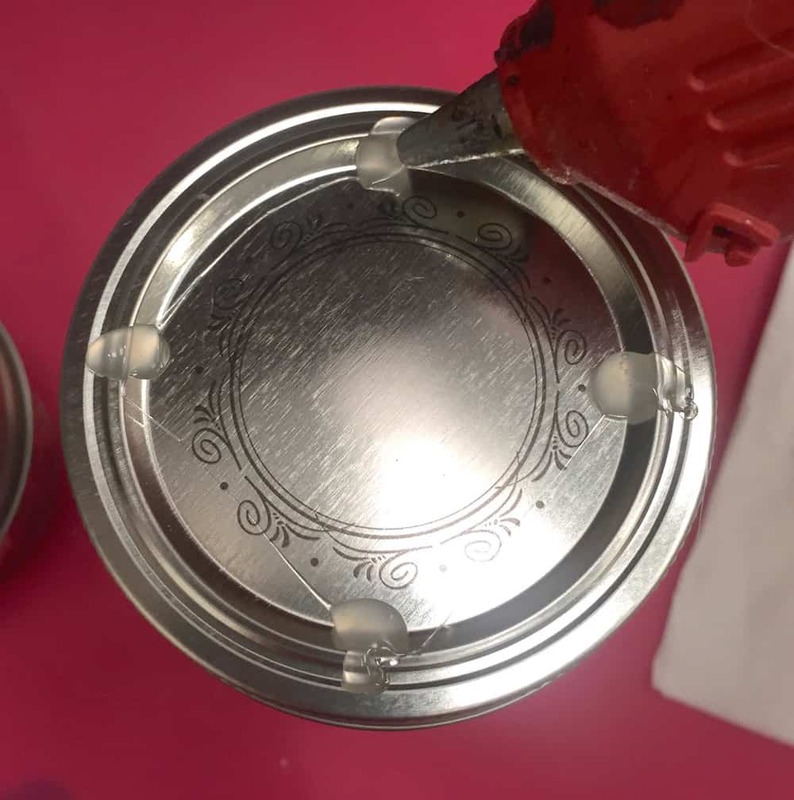 Simply dip in the paint and then dot on the front of the jar. It's that easy. Let dry. There will be no painting on one of the jars. 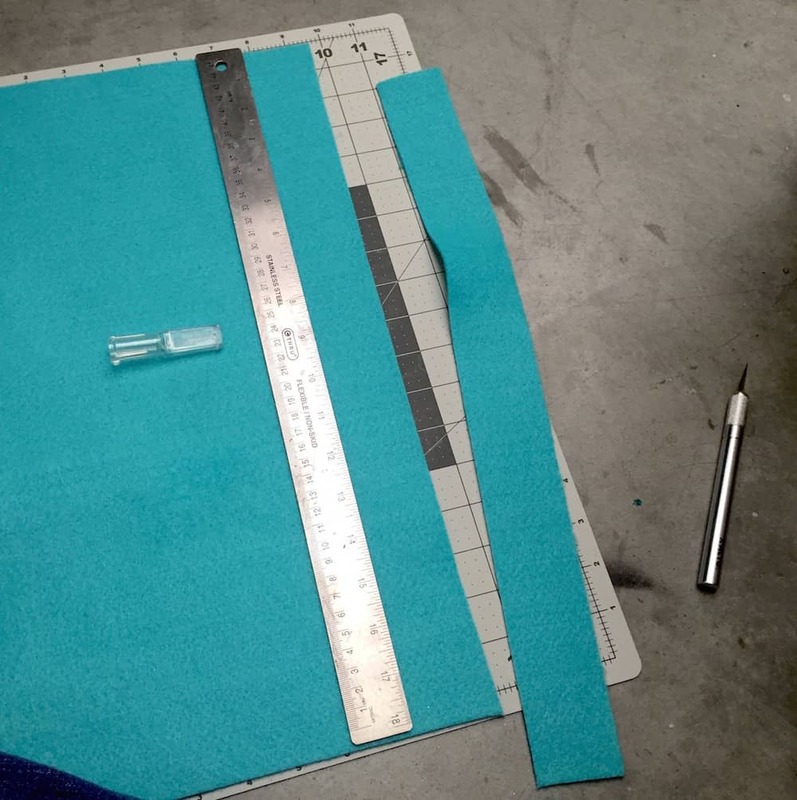 For the scarf, cut a strip of aqua felt about 1″ wide. It's easiest to use your ruler, craft knife (make sure the blade is sharp! ), and mat for this. 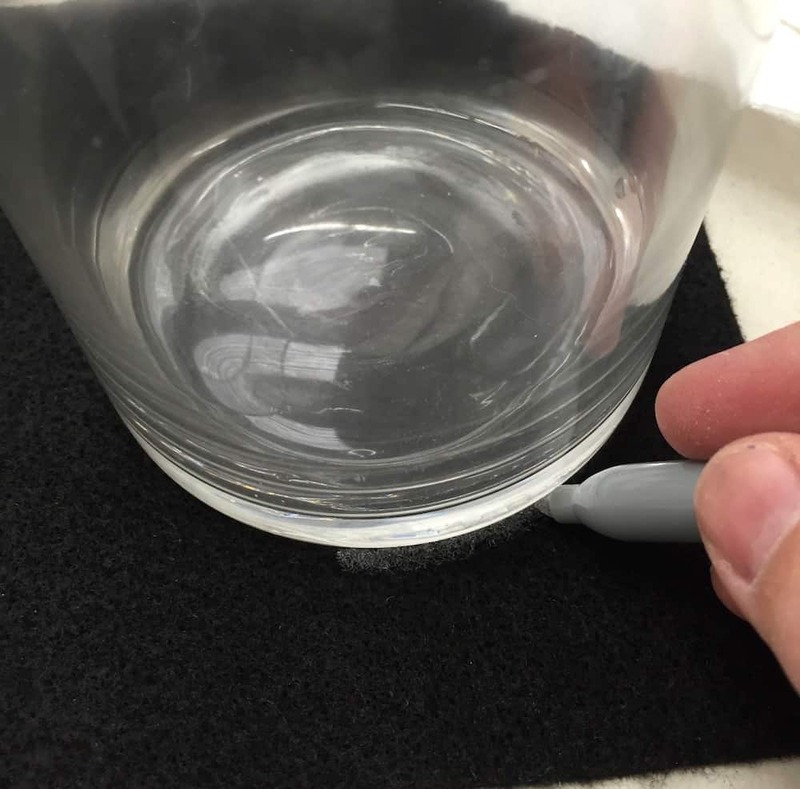 Make sure that the strip is long enough to fit around the jar. I initially cut the strip a bit too wide and too long, so I trimmed it down to make sure that the proportions were correct and my snowman wasn't drowning in his scarf. Fringe the ends with scissors. The next step is the hat. You're going to need enough for two separate pieces for each snowman. You want a round piece that will be the brim of the hat, and then you need a long piece that will fit all the way around and be the main portion of the top hat. 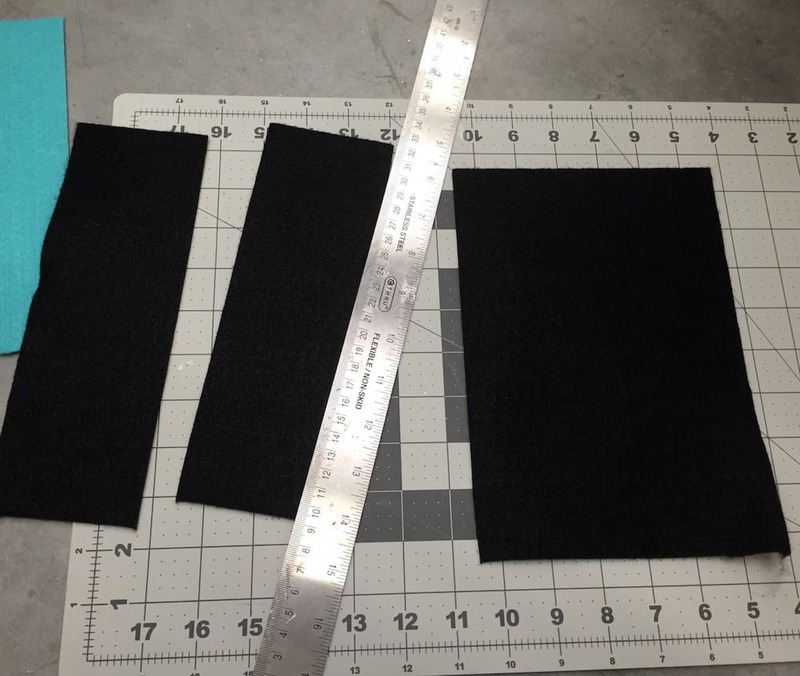 First cut your long piece the same way you did for the scarf. 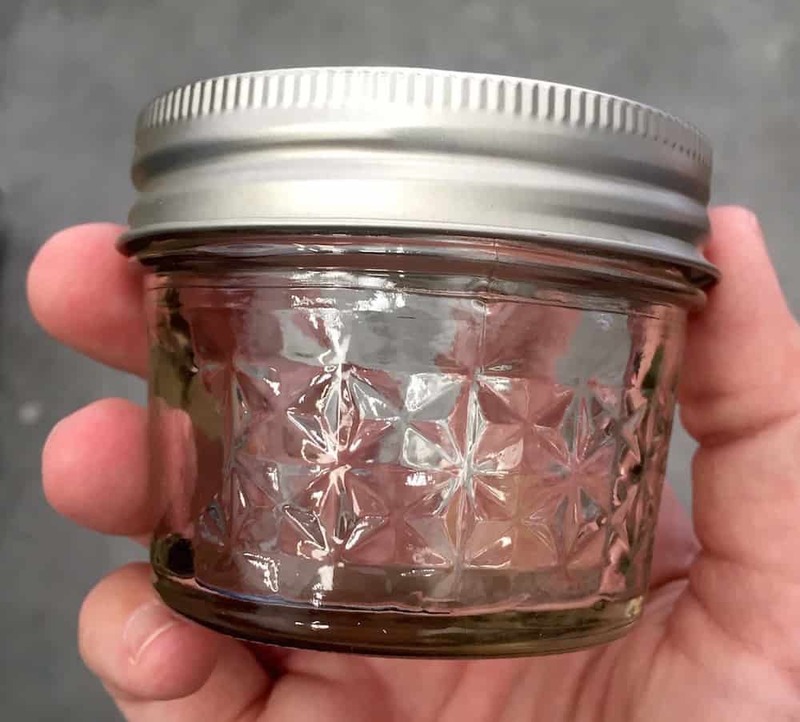 Unscrew the mason jar ring and make sure that it fits around correctly with a slight bit of overlap. Trim to fit. 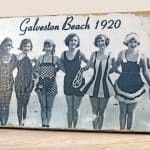 Now you're going to make the brim of the hat – so follow closely! 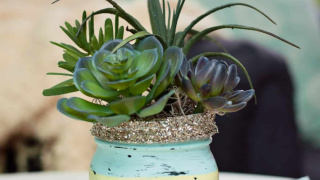 You need an item that is slightly larger than the mason jar ring . . . in my case it was a votive holder I had on hand. 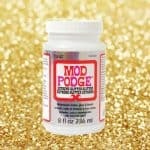 You can use absolutely anything. But obviously you want the brim to stick out slightly, so that's how you'll pick your item! 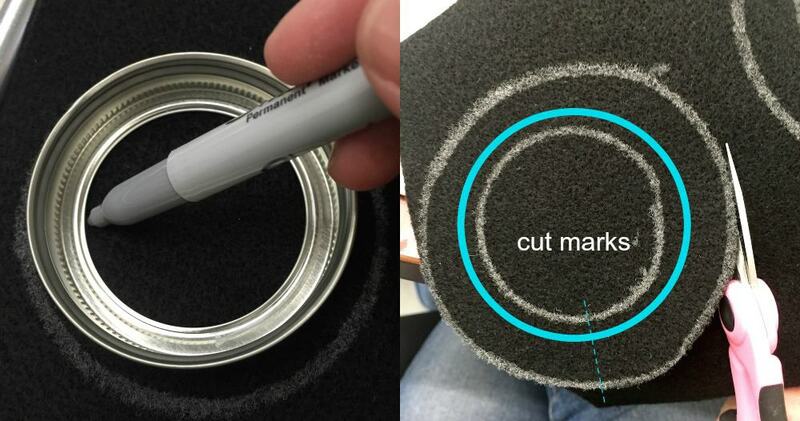 Trace it with a Silver Sharpie (so you can see it on the black felt). 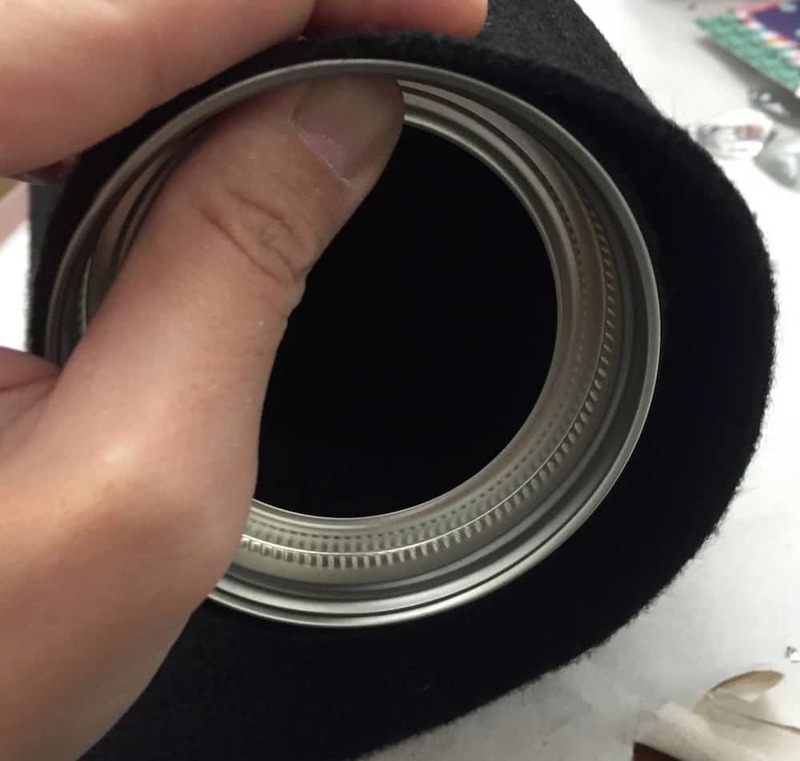 The brim is going to fit around the outside of the mason jar ring (snugly), so I placed the ring on the inside of the larger circle and then traced the inside of the ring. Then I made three cuts. I cut around the outside of the brim as you see above. I cut on the dashed line into the middle of the circle. THEN I cut out that inner circle, but made it larger than the line I just traced. You can see my cut marks in blue above. I found that cutting the felt this way made for the tightest fit. And you'll put the seam – where you cut on the dashed line – towards the back so it won't be seen. 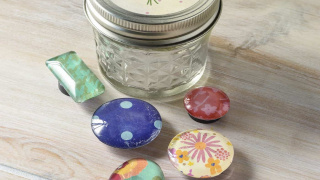 Before you glue any of your items together, fill the jars with the appropriate goodies. 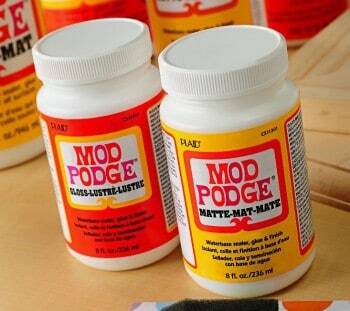 This will make it easier for you later – you won't have to unscrew the jars again. I added marshmallows to the top, hot cocoa to the middle, and mints to the bottom. Make sure to do this on a food safe surface and wash your hands before doing it. I found the best way to glue the jars together was by placing four hot glue gun dots as shown. Does it hold? Absolutely! 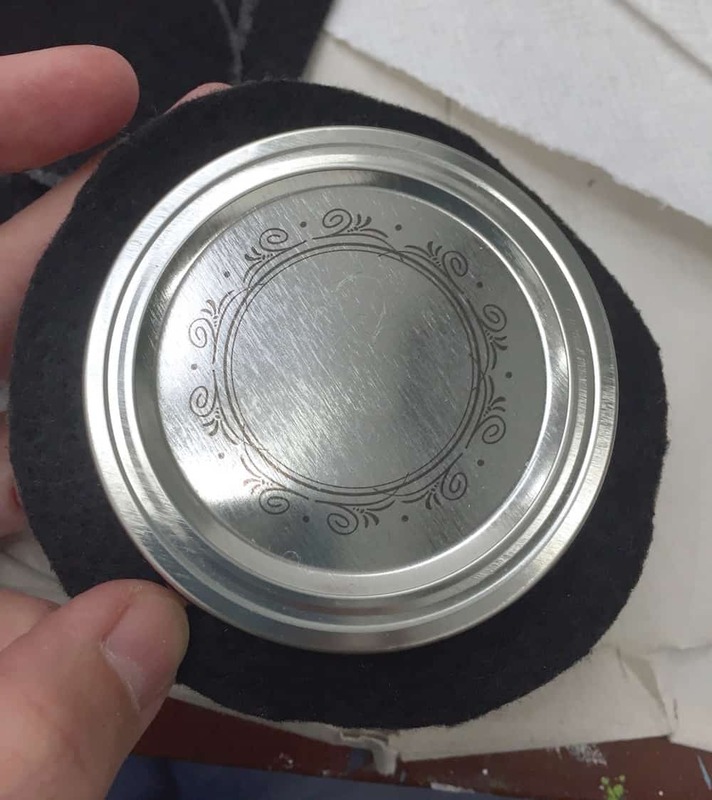 And the jar lids will be able to be unscrewed easily. 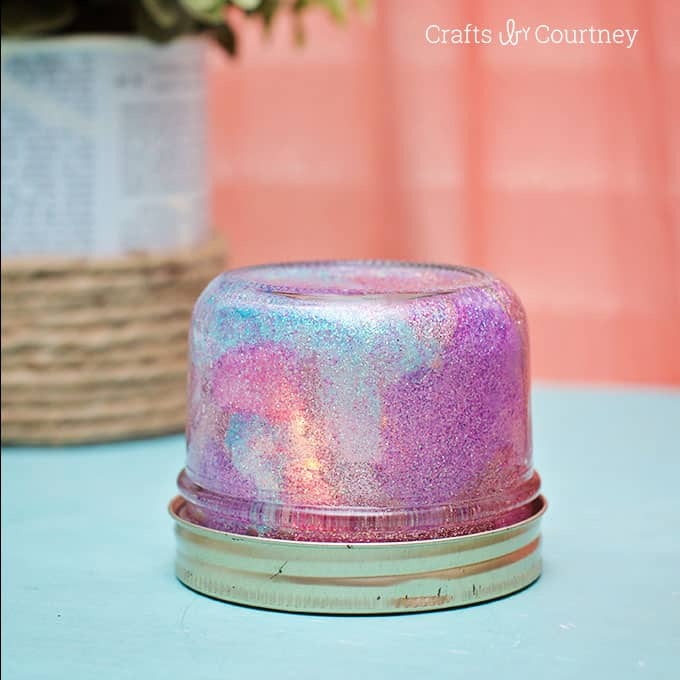 Place the four hot glue gun dots as shown above and quickly put a jar on top to secure. Do this with the middle jar on top of the bottom, then the top jar on top of the middle one. Let cool. 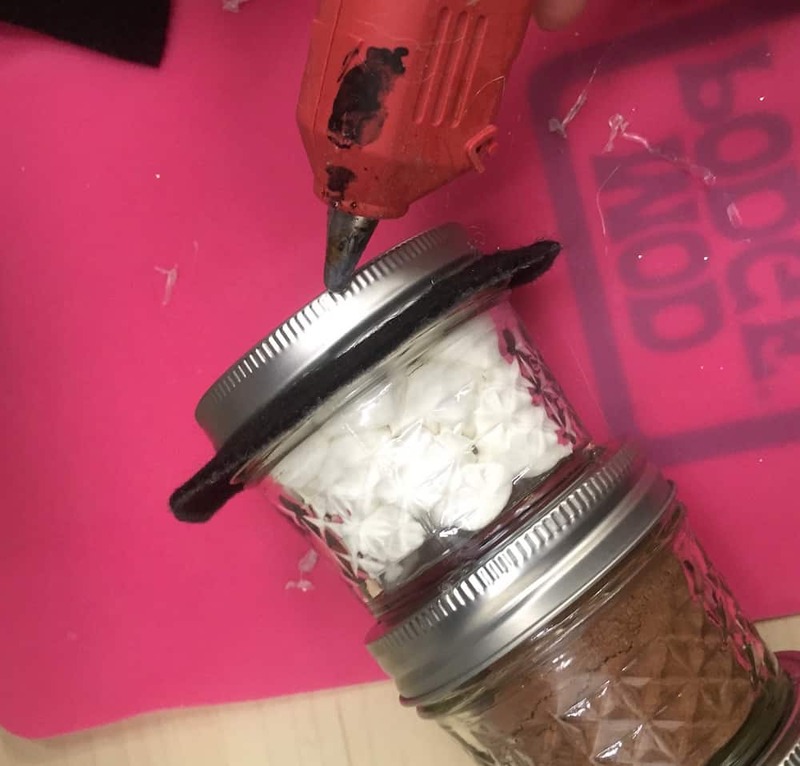 Secure your brim around the edge of the top jar with your hot glue gun. Mine has a perfect fit! Note: the good news about felt is that it has some stretch. 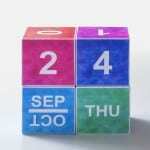 If you find it doesn't quite fit . . . stretch it. Now add the top portion of the top hat by placing a bead of hot glue around the rim of the mason jar and folding the hat around. Make sure the seam is in the back (and you might want to secure up the seam with hot glue if your hat looks wonky). 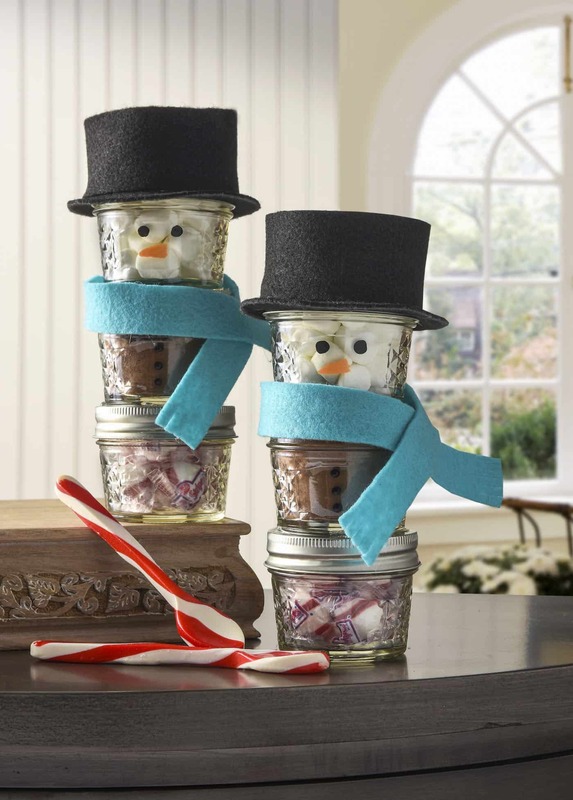 To finish your snowmen mason jar gifts, place the scarf around jars (as shown) and secure with dabs of hot glue. Your little guys are done! I can't believe how cute they turned out. 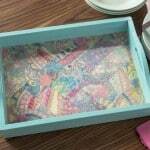 Note that they can easily be unscrewed – and honestly, easily popped apart and the hot glue removed. That's what I love about hot glue. 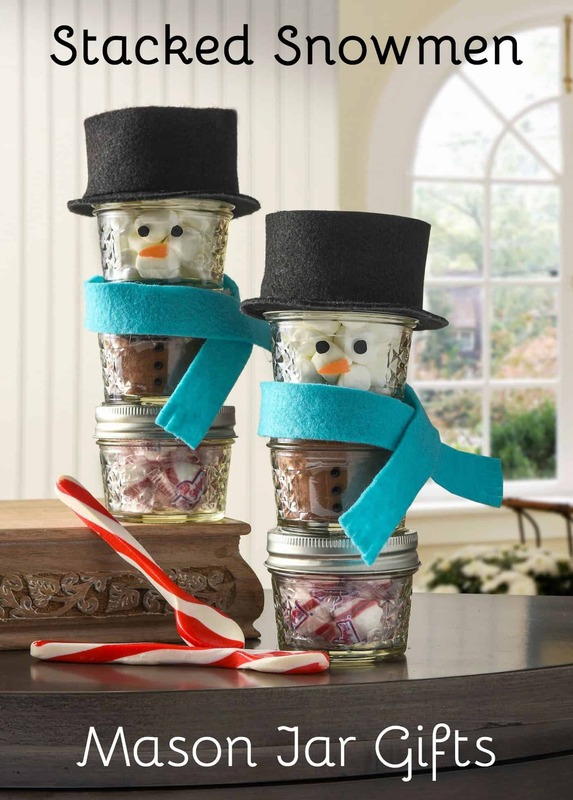 Not only are these awesome mason jar gifts in the shape of snowmen, but you can re-use the jars when they're done. That's a win-win! 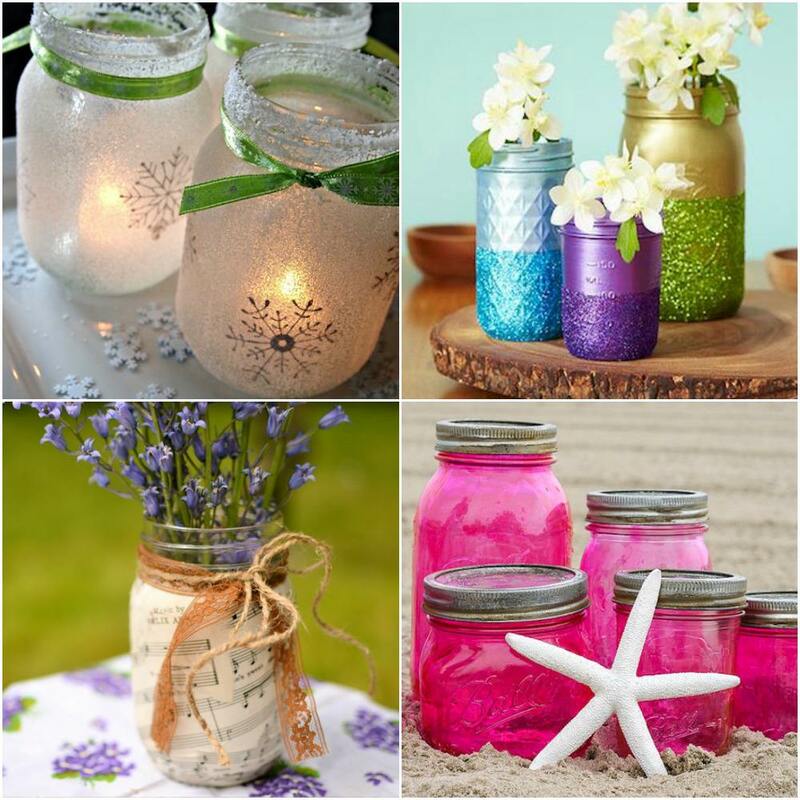 If you're looking for more ideas using mason jars, here are some of our favorites – for gifts and decorating! These snowmen are so cute! I am afraid I would have to keep one for me. So adorable.